Despite living in St. Louis for the past few years, I’m hardly a weathered St. Louisan. I moved here from one state over and immediately jumped into work and school. So it should come as no surprise that I leaped at the opportunity to see the city like a tourist during the Fall 2013 Saint Louis Fashion Week VIP Blogger’s Experience. To say the least, I think I’m still catching up on missed sleep. The bloggers escape! // Photo via Amber Joivon for ALIVE Magazine. We started off Friday with brunch at Brown Shoe Company. Nothing like a brand presentation to kick off the weekend! I already told you about the fantastic booties I scored with the Famous Footwear gift card they graciously provided… Yes, I am still just as obsessed, and yes, I have worn them almost every day since I purchased them. 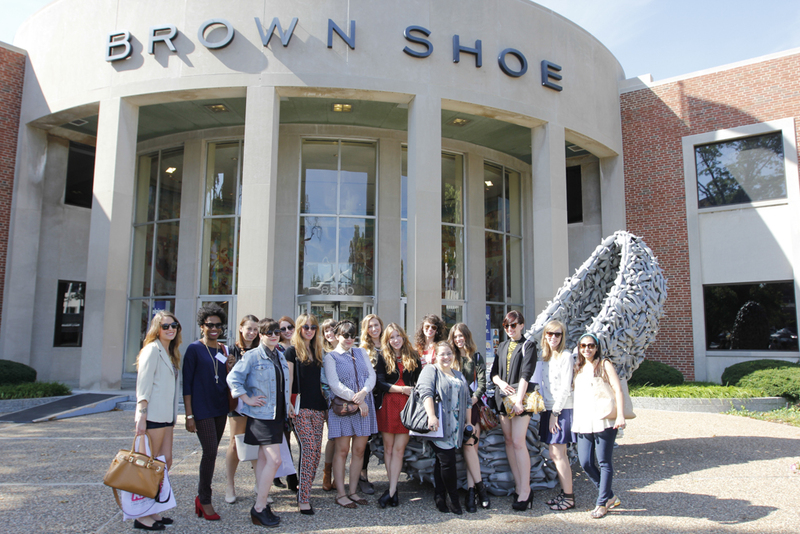 Note: the giant shoe of shoes outside Brown Show Company is a weird, but fantastic, STL landmark. I would argue almost as many blogger photos were taken of it as the Arch. After our meeting, iPhone app Muzio (hopefully on Droid soon?) took us around on a champagne bus tour of the city. The ultra-pathetic truth is that I had not seen most of the sites we were visiting, despite the fact that I moved to the area in 2008. From the Saint Louis Art Museum to the Central Library, City Garden and the Arch, we saw some of the prettiest parts of the city. 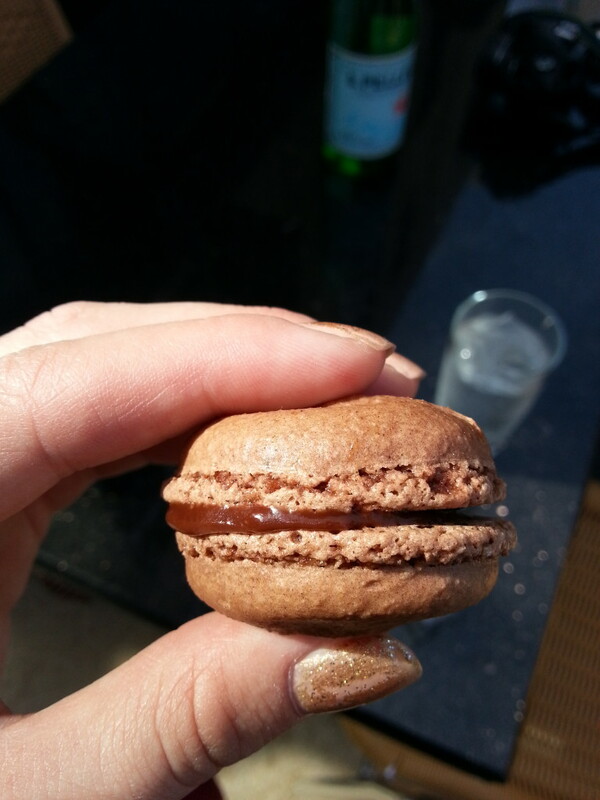 We even met up with Emily of Wai Ming for sparkling water, St. Louis-themed truffles, and macaroons. After a small break (which I spent finding my internal balance, as buses and I are apparently still not on good terms) we headed to the ‘burbs to visit Savers Thrift Store, where we were provided with adorable snacks, discounts, gift cards and other goodies. 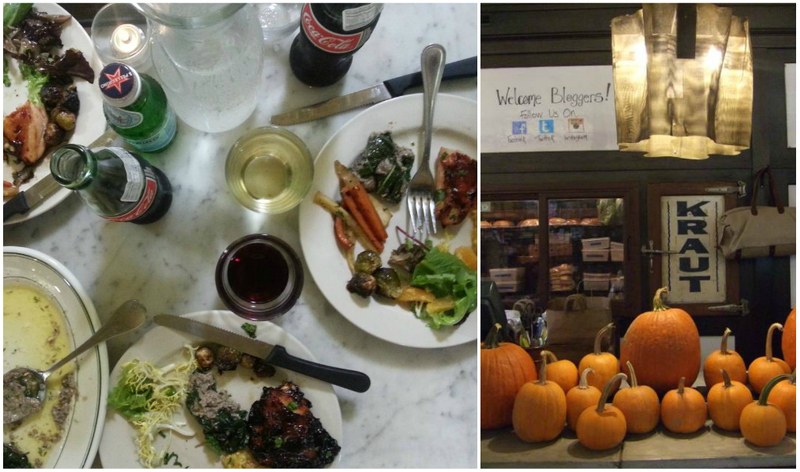 The evening wrapped up at one of the best of-the-moment eateries, Winslow’s Home. There once were some bloggers who lived in a shoe. // Photo via Amber Joivon for ALIVE Magazine. Downtown. 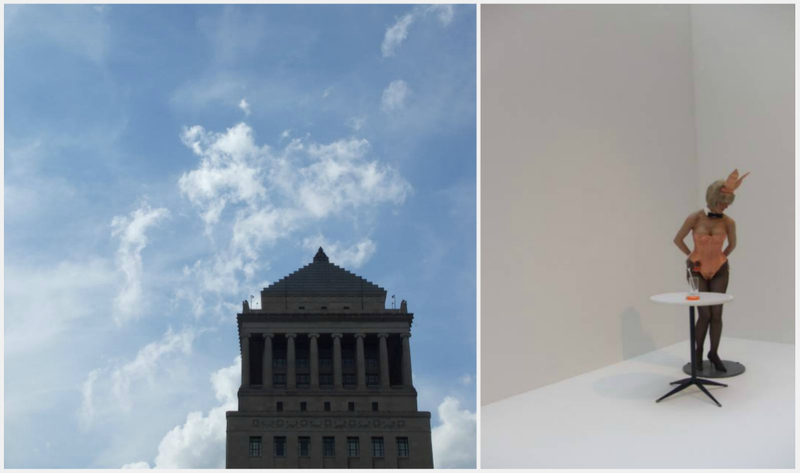 | The Saint Louis Art Museum. 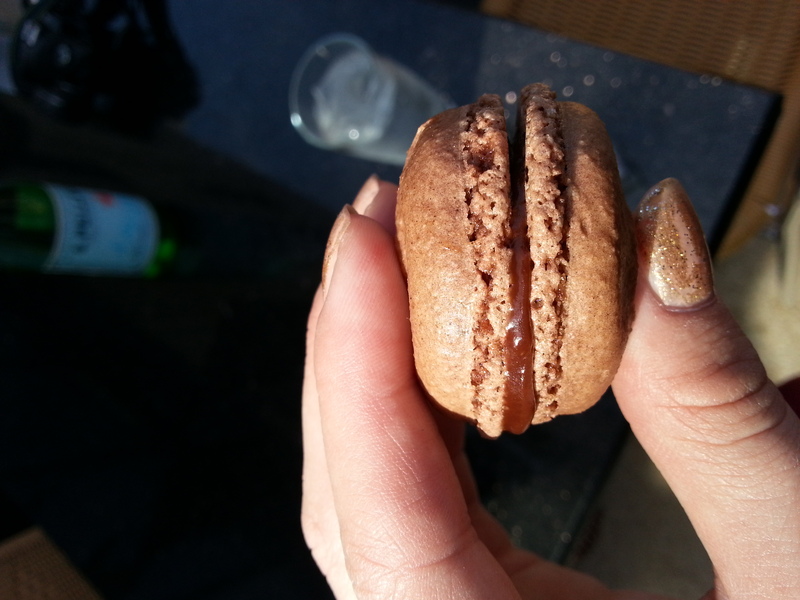 Macaroon snack break with designer Emily Brady Koplar of Wai Ming. 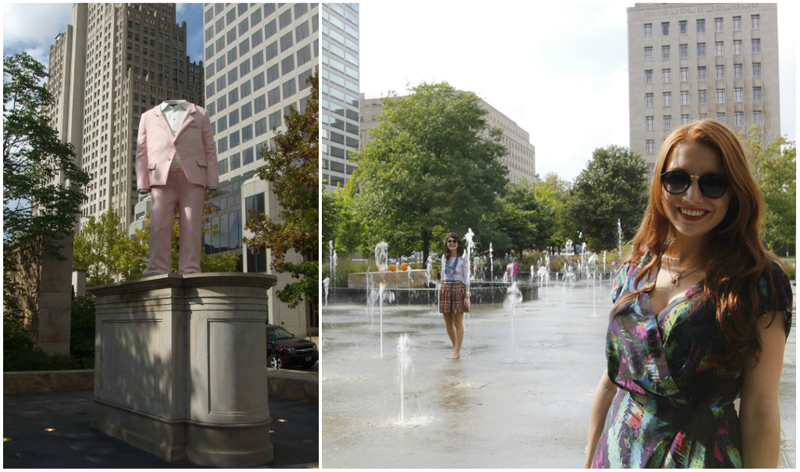 City Garden formalwear. | Fountain funtime with Jess. // Photo via Amber Joivon for ALIVE Magazine. Tourist Time: The Gateway Arch. 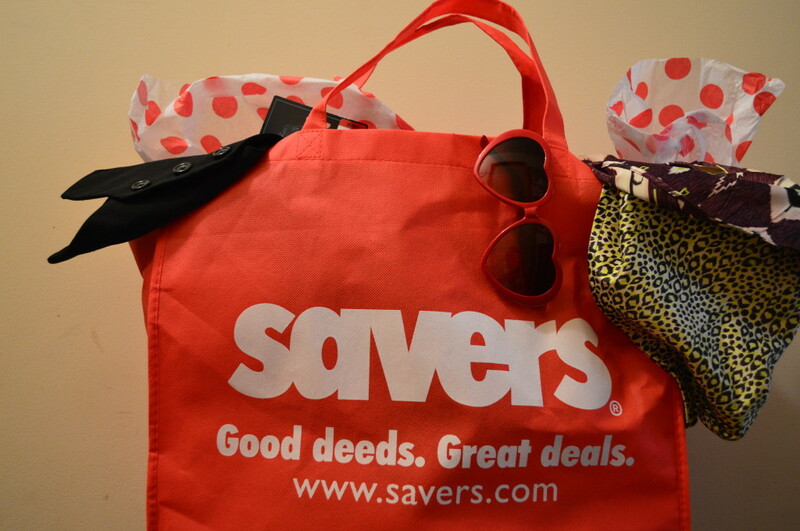 The big red bag of wonder, care of your new favorite second-hand store, Savers. The eats at the oh-so-adorable Winslow’s Home. 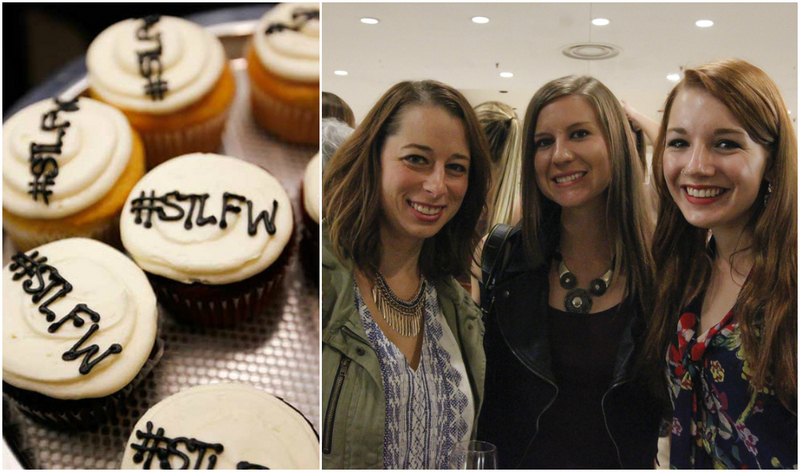 Because I’m hungry 97% of the time, STLFW cupcakes are a must-have. // Photo via ALIVE Mag | Mary, Rachael and I post-show. // Photo via Amber Joivon for ALIVE Magazine. Arguably the best picture from STLFW. 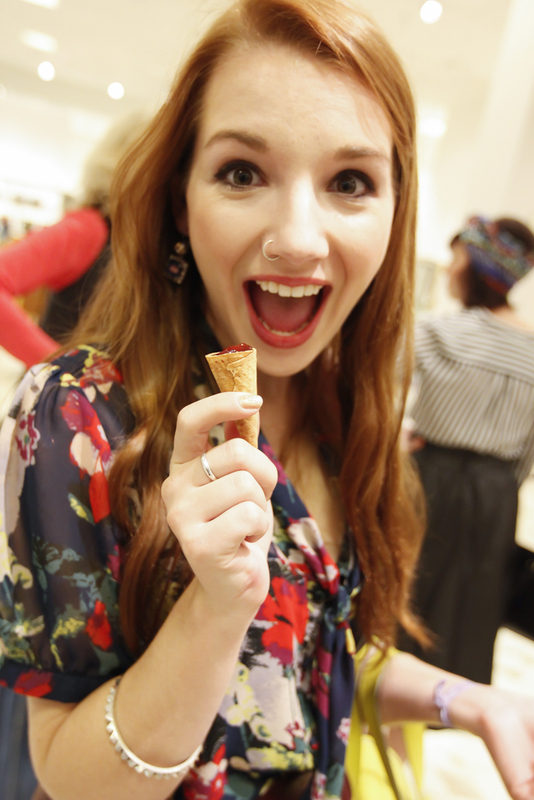 This is my excited dessert face over PB&J cones; can you even imagine what happens when someone hands me tiramisu? Hi, I’m Julia, and this is what I look like in day-to-day life most of the time. // Photo via Amber Joivon for ALIVE Magazine. Too many bloggers, too little runway. Dangerously close to a forced sorority squat. // Photo via Amber Joivon for ALIVE Magazine. 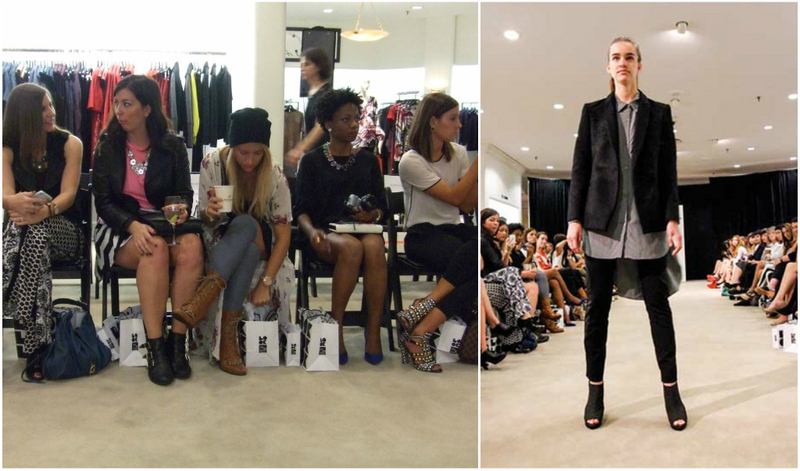 | Sweet, sweet shoes at Neiman Marcus’ CUSP event. 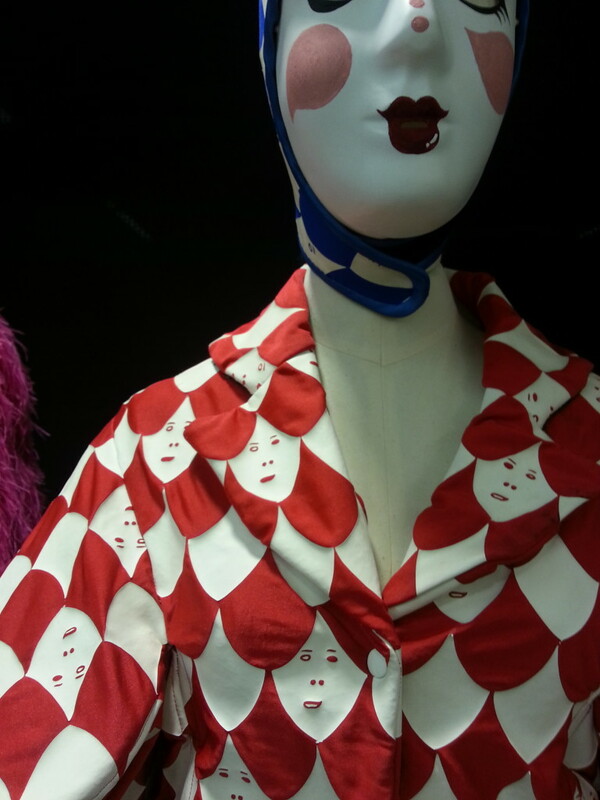 Sneak peek of a Hideki Seo ensemble from A Queen Within. …And then we came back a few hours later. The next morning we all met up for brunch at the CWE’s Central Table Food Hall. The entire lot of us may or may not have looked exhausted, angry at last night’s high heels, headache’y and/or dehydrated… but, you know, in the chicest way possible. All hail the messy bun and over-sized scarf. Oh, and Aleve. And eye cream. And Central Table’s amazing bacon. 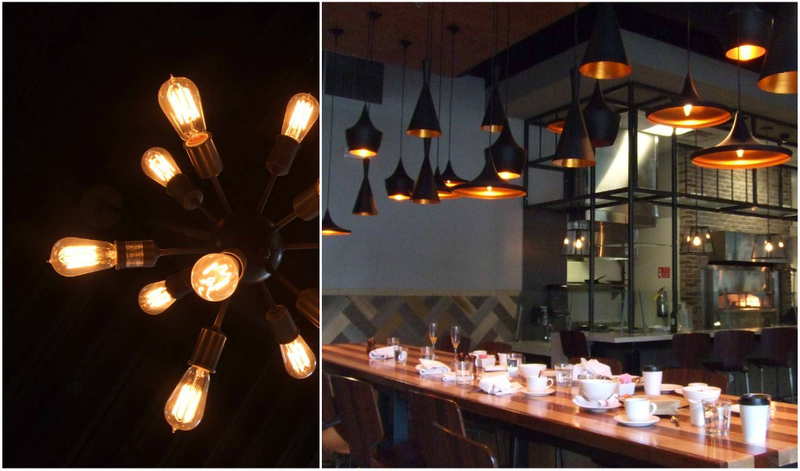 May I have this light fixture? | The logically long table at an eatery called Central Table Food Hall. 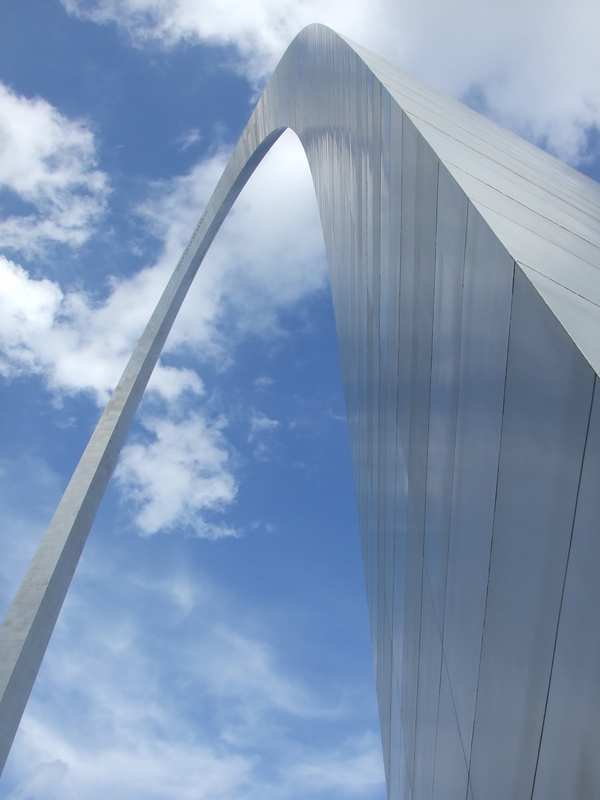 Looking for more details from our St. Louis adventure? Check out some of these fantastic blogs. Blogger attendees included the ladies behind sites from all over the country, like Selective Potential, Orchid Grey, Cali Vintage, Keiko Lynn, Delightfully Tacky, Good Good Gorgeous, and more. But don’t fret–I’ll be posting more details soon, mainly because there’s simply more you need to know about these brands, businesses, and bloggers. 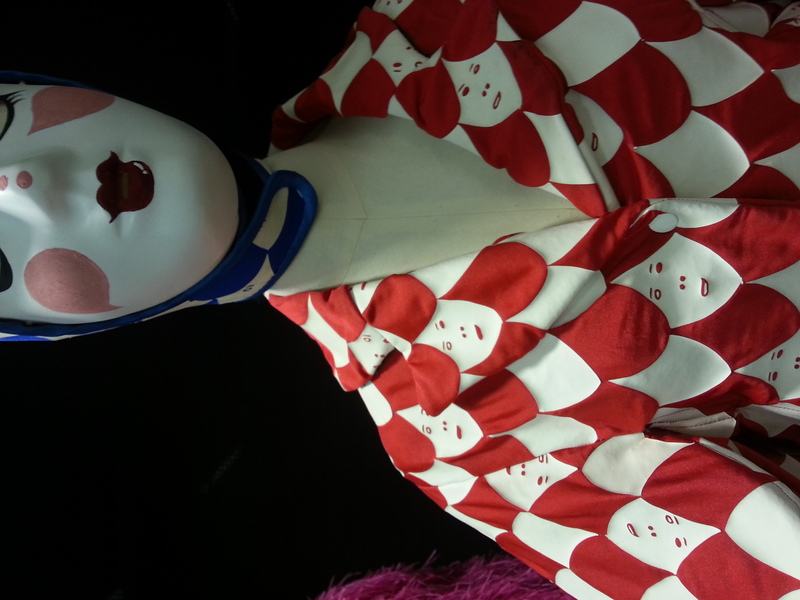 Till then, I’m off to keep opening and closing my closet door, hoping one of those fantastic outfits magically appears.